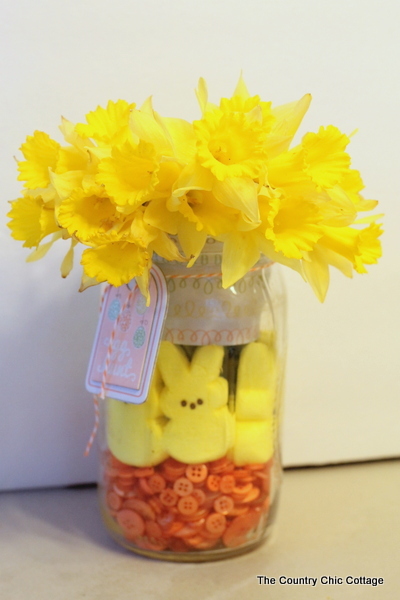 Love peeps and mason jars? 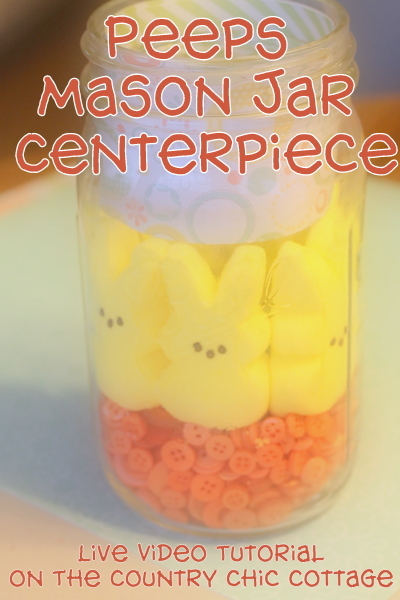 Come on over and watch as I use those to create a great Easter centerpiece LIVE! Yep you read that right. I am going to be making a peeps centerpiece in a LIVE video….you never know what is going to happen so be sure to watch below. Carolina from 30 Minute Crafts and myself will be crafting with a 10 minute timer and some jars. You don’t want to miss this one. Psst…for the source on the jars used be sure to visit Freund Container. When you watch the video you will notice I don’t actually have flowers to add to my centerpiece…whoops! Here is an actual final product for your enjoyment! Cute ideas. I love Mason jar crafts.